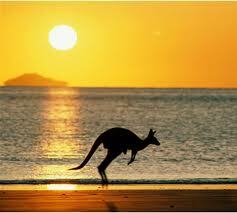 NEW YORK: Tourism Australia is embarking on an agency review for support in the US, Canada, Brazil, and Argentina. NEW YORK: Tourism Australia is embarking on an agency review for support in the US, Canada, Brazil, and Argentina. Working with AAR Partners, the organization plans to issue an RFI on March 18 and finalize the process in May, in time to work on new PR initiatives in July. According to a release, Australian Government procurement mandates a periodic review of all agency partners "to ensure the best service, value, and fit with the marketing objectives, goals, and core beliefs of Tourism Australia. It serves as a tool and opportunity to examine Tourism Australia's current capabilities and the external marketplace." The organization invited incumbent Fleishman-Hillard, which it has worked with since 2008, to participate in the review. It will consider PR agencies with capabilities in Latin America, as well as offices in New York City or Los Angeles, and Canada. The scope of work includes media relations, international media hosting, branded content activities, and advocacy and social media campaigns. Agencies who wish to be considered should contact AAR Partners' Lisa Colantuono or Leslie Winthrop at L2@aarpartners.com.